World music is an art that transcends peoples and cultures. It is formed outside the Western Classical tradition; from the essence of the various musics around the world, forged from the spirit of traditional music, the context of the music of the folk, and the zeitgeist of modern music and musical creativity. It blends tradition and composition from the various races and creeds around the world, and is an artistic microcosm, which celebrates the diversity we have in our world. It also brings together the various intangible cultural heritage items of different parts of the world and introduces them to an audience that would not otherwise know them. In the West, World music has already had a wide outreach, not including a myriad of audiences, but also the advocacy of UNESCO through its listing of some performance traditions as Intangible Cultural Heritage items. Hence there are frequent and regular events featuring world music; recordings are also easily available. 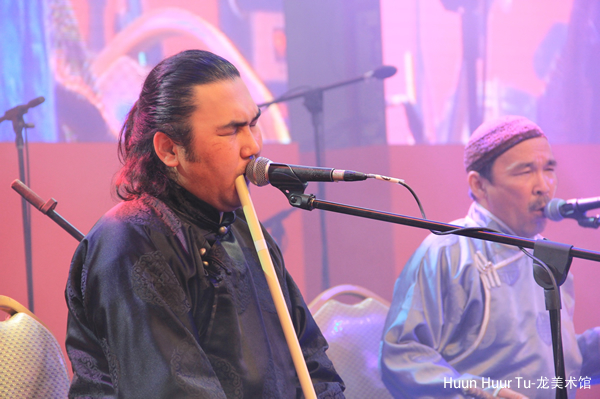 Huun-Huur-Tu is the premier Tuvan musical group and the world’s top throat-singing ensemble. Huun-Huur-Tu is described as the most natural sound to the deep soul. 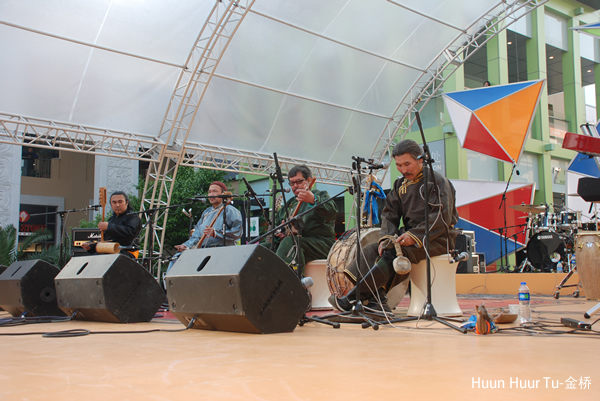 Huun-Huur-Tu has cooperated with world-class musicians like Frank Zappa and Ry Cooder. Huun-Huur-Tu has successfully toured all over the world since it was created 20 years ago. Huun-Huur-Tu means the vertical separation of light rays that you often see out on the grasslands just after sunrise or just before sunset, which matches very well with the spirit of the group. 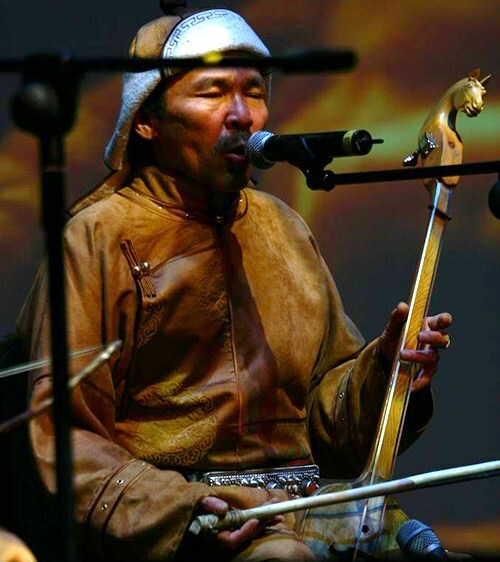 As early as 1993, Huun-Huur-Tu toured in the US, causing an upsurge of khoomei there. In 1999, Huun-Huur-Tu cooperated with some scholars of ethnic anthropology including Michael Edgerton and Ted Levin. Their cooperation gave birth to some important works of Central Asian ethnology. Thanks to the efforts of these musicians and scholars, “khoomei center” was founded in America and related organizations have been founded in Europe to protect khoomei. 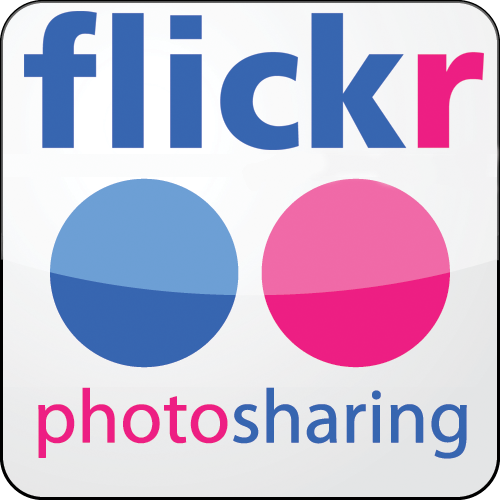 This entry was posted on May 31, 2014 by Radik Tyulyush. 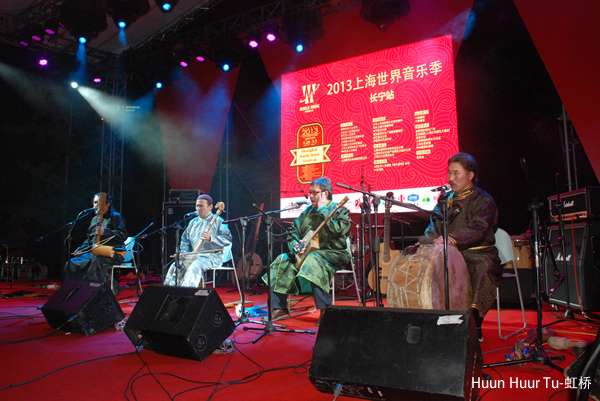 It was filed under ART, CONCERT, CULTURE, FOLK MUSIC, MUSIC, MUSIC VIDEO, PHOTOS, THROAT SİNGİNG, TRADITIONAL CULTURE, TRADITIONAL MUSIC, TUVAN MUSIC and was tagged with 2014, folk music huun huur tu shanghai, huun huur tu 2014 concert program in Shanghai, huun huur tu concert Shanghai, huun huur tu shanghai concert festival, huun huur tu Shanghai World Music Festival, Huun-Huur-Tu will have a concert at “Shanghai World Music Festival, Shanghai World Music Festival, Shanghai World Music Festival” 5October, Tuvan Throat singing shanghai. Reblogged this on THE SPIRIT OF TUVAN NOMADS.